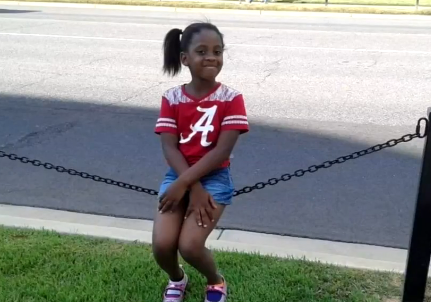 Demopolis, Ala. — An Alabama mother says bullying led her 9-year-old daughter to commit suicide, CBS Birmingham affiliate WIAT reports. "She told me that this one particular child was writing her nasty notes in class," said the mother, Jasmine Adams. "It was just things you wouldn't think a 9-year-old should know. And my baby, to tell me some of the things they had said to her, I was like, 'Where are they learning this from?" Adams said her daughter, McKenzie Adams, told teachers at U.S. Jones Elementary School in Demopolis and her assistant principal multiple times that she was being bullied. She feels the school system let her family down. "Our trust was in them that they would do the right thing," said Jasmine Adams. "And it just feels like to me it wasn't." Adams said she transferred her daughter to the school from another school due to bullying. She said the issue started again at the new school. Adams said race was a factor in the bullying. A white family friend drove the African-American fourth-grader to school every day. "Part of it could have been because she rode to school with a white family. And a lot of it was race. Some of the student bullies would say to her, 'Why you riding with white people? You're black, you're ugly. You should just die,'" she told WIAT. Demopolis City Schools attorney Alex Braswell said the case is being investigated. He called the situation sad and senseless. In a statement, school officials said: "Certainly our hearts goes out to the family and friends of Mckenzie and her fellow students as well as her teachers. Demopolis school system has provided grief councilors and crisis councilors at the school since this and ministers and youth ministers have been at the campus since the date of this incident." "That was my angel," said Adams.